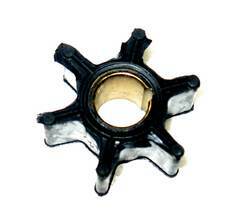 Johnson outboard water pump 9.9 - 15 hp. 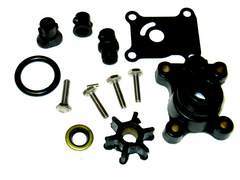 Lower unit water pump kit. 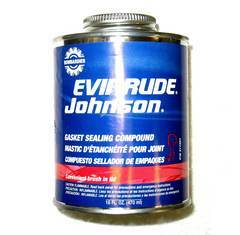 Replaces OEM 394711, Sierra 18-3327, Mallory 9-48201. Compatible with 9.9 hp, 8 hp and 15 hp 2 and 4 stroke. 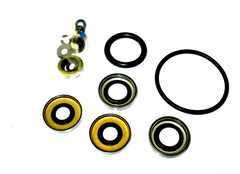 P/N 87602 Complete lower unit seal kit for V6 models. Replaces OEM 396350, Sierra 18-2656, Mallory 9-74100. Includes all gaskets, oil seals and o-rings. Replaces OEM 386084, Sierra 18-3050. P/N 508235 Gasket and o-ring compound.